Jeremy Martin, Chief Executive Officer of Horizonte Minerals #HZM talks about their positive metallurgical results at their Vermelho project and other areas of the business. Paul Griffiths, Chief Executive Officer of Predator Oil & Gas #PRD provides a progress update on their Trinidad operations and also covers their Moroccan and Irish projects. 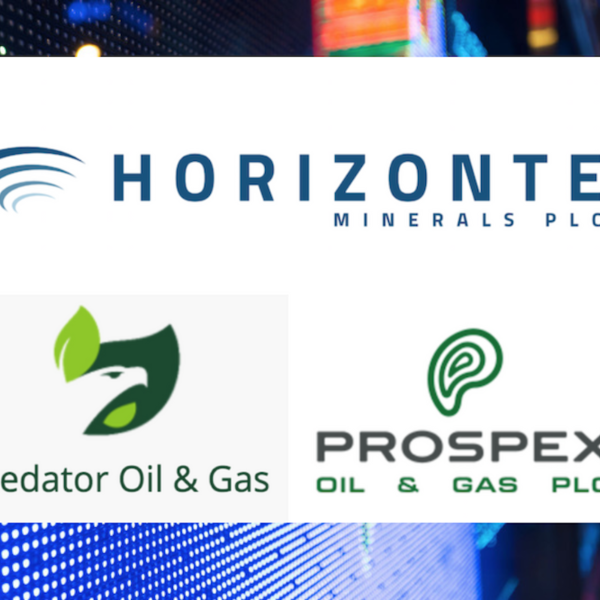 Ed Dawson, Managing Director of Prospex Oil & Gas (PXOG) discusses the new gas prospect they've added to their portfolio, gives a Bainet-1 production update and talks about their recent fundraise.